These friendly little chaps are great for toddlers. And they’re great for the provider of food, because they are easy, nutritious (although they admittedly contain unhealthy pastry… but you have to have some vices) and you can throw random ingredients in no worries. Plus, they can be shared. My tiny human loves to eat the same dish as his captors. Thanks to my Mum for this recipe inspiration! P.S This is a photo of the weird little tin I use – I don’t know what it’s called. 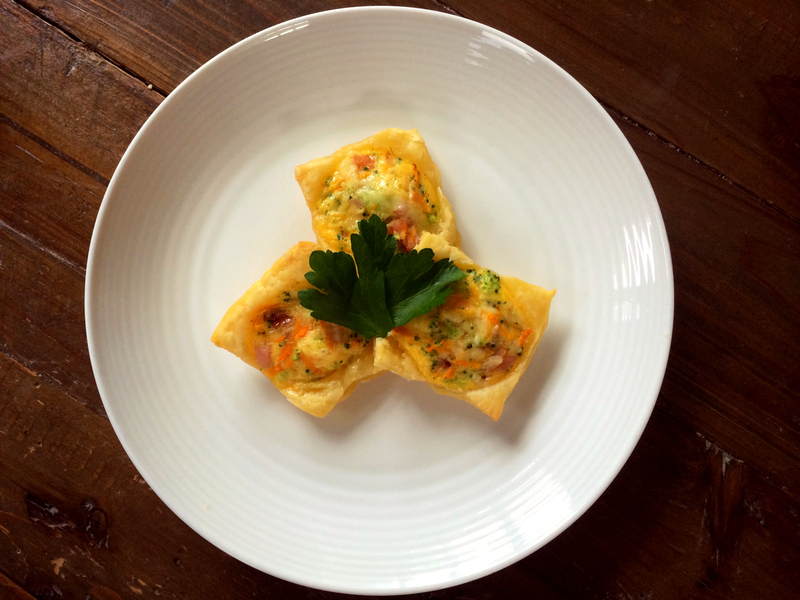 This entry was posted in Food, Recipes, Toddler Recipes and tagged easy, egg, protein, quiche, toddler. Bookmark the permalink. Everytime I’ve come to visit my little nephew for lunch these quiches have saved the day . . . Just wish I was offered some 😜they are a winner people! Big thumbs up from Frankie! Sorry I only just saw this comment! Given it’s in the oven at a pretty hot temp I would give you the green light.